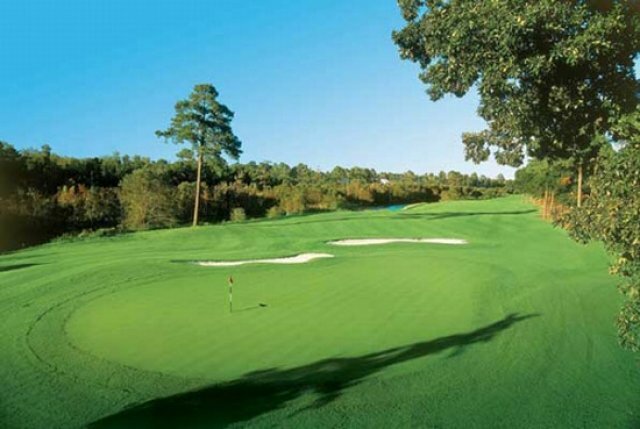 Commonly regarded as one of Dan Maples' finest designs and praised by Golfweek magazine, the Maples course at Sea Trail is a quite an adventure. 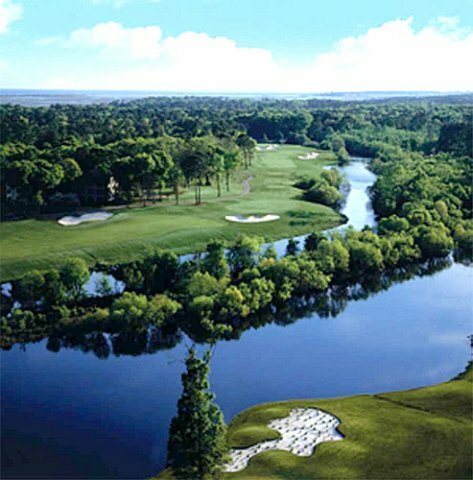 Several holes meander their way along the banks of the glittering Calabash Creek, and convenient stone walkways allow passage to the separated holes. The entire course is in the midst of a nature preserve, granting stunning beauty and a true wilderness feel. The holes are littered with cunningly laid traps, including one waste bunker that extends itself the length of the fairway. Old-growth oaks line the fairways and the Maples golf course sports undulating greens, demanding finesse and accuracy to survive. The numerous par-5 holes are brutally challenging in length. Despite this, newcomers can feel confident in driving aggressively off the tee. The extra facilities at Sea Trail are plentiful and well-managed. Practice greens, a driving range and fully-stocked golf shop helps the golfer keep at the top of their game. The restaurant shouldn't be missed after a full day. Liked the course, greens were real nice and fairways in good shape. Only drawback was that the fairways had just been overseeded and had to keep carts on cart paths. Had played before and will play again. All tee times booked through NorthMyrtleBeachGolf.com between October 1,2010 and May 22, 2011 will receive Free Replays and Free Lunch. Free Replays must be played after 1pm and must be played on the same course the same day. Free Replays are not "Pre-Booked" and booked the day of play based on availability. There are no rain checks on replay rounds. Lunch is served between 11am - 2pm and is a Hotdog or Hamburger.